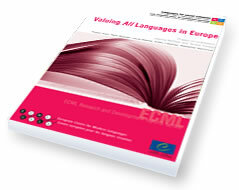 The aim of the Valeur project was to raise awareness of the “additional” languages – those which are not national and regional languages – used in Europe, and collate information about the educational provision made for them. 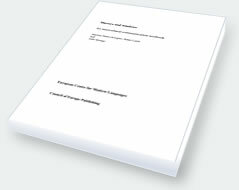 A flyer describes the educational, social and cognitive benefits of plurilingualism and a report includes country by country details of the languages in use, together with recommendations on educational policies to deal with the issues arising from linguistic diversity. Available in English, French and Hungarian. Intercultural experiences pose inevitable challenges to one´s personal identity and communication skills. One has to learn how to deal with unexpectedness, ambiguity and otherness as well as the resulting culture bumps or culture shock. The knowledge, skills and attitudes that are necessary for successful intercultural communication have to be observed, discussed and practiced. This textbook wishes to help the trainer, the teacher and the learner in this process by encouraging culture-general discussions about culture with a small "c" and by using a reflective approach.